I am very interested in receiving data from meteorological satellites. This page contains information about my work in this direction. Start receiving APT by means of receiver R-45. Making EMGO receiver and writing firmware for it. Building the 1.7 GHz --> 137.5 MHz downconverter and receive Meteosat -6, -7. Using 1.85 m parabolic dish. Making HRPT equipment and start receive (C)HRPT in Nov 2008. 1.20m offset parabolic antenna, Az/El rotor and LVB tracker. Building home-made 1.90m parabolic stressed antenna. 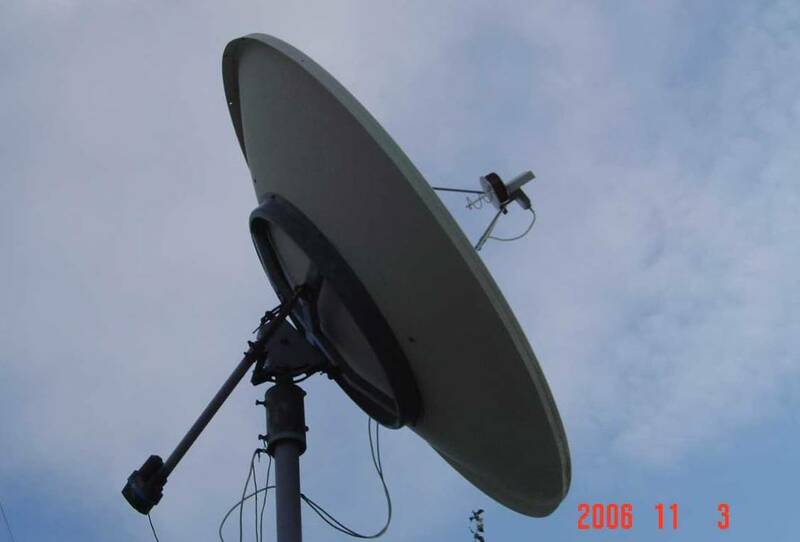 More info about home-made stressed parabolic dish -> read in my article (rus). After some time I finished decoding the new russian satellite Meteor M N1. Many thanks to my friends for help ! After the problems associated with the "dead zone" at the zenith, I decided to build X-Y rotor. 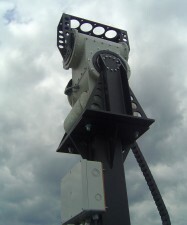 For construction, we used two mount PowerTech DG380 with metallic gear. I wrote (in Delphi) a plugin for Orbitron to control the X-Y rotor. Also changed firmware LVB tracker for X-Y mount ver. 1.0. (image with a resolution of 250 m / pixel). In december obtained Aoyama decoder (from Japan) for receptions HRPT. Thank you very much Mr. Aoyama for help ! 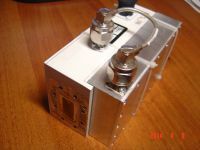 Modification and construction of the new receiver for HRPT. Start receiving Meteor-M N1. Complete description of the format MHRPT here. This year, thanks to my friends I met with Gnuradio and the USRP1 receiver. With Gnuradio now have the opportunity to take all the L-band satellites. 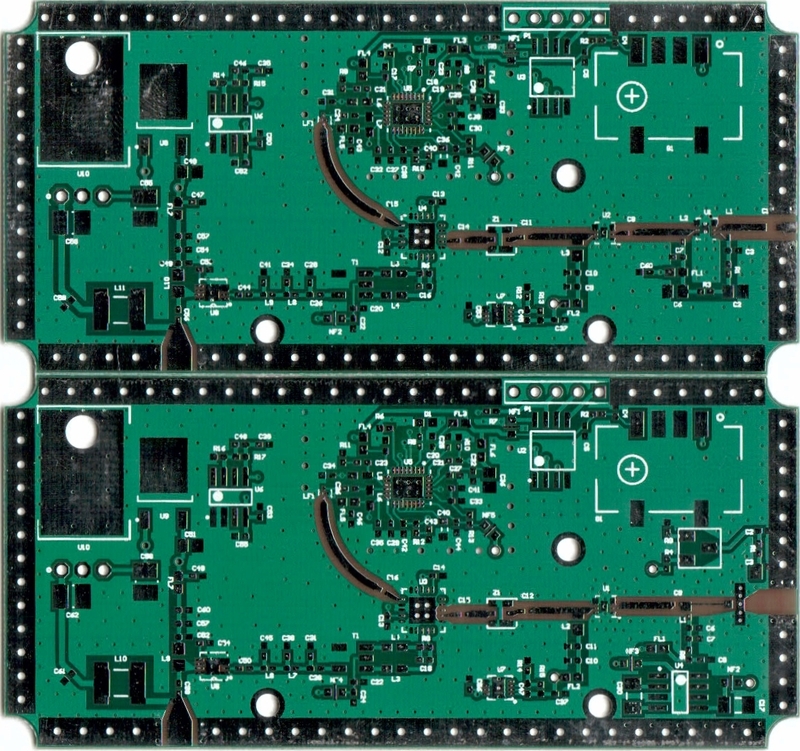 Start developing a new converter (1691MHz-->137.5MHz) on modern components. It was also completed production of two version of the downconverters. Was purchased on Ebay modem SLM-7650. It will be used for receiving satellites in QPSK modulation. 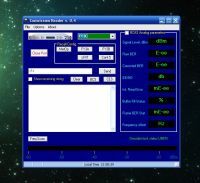 Making simple QPSK, BPSK constellations viewer based on STM32 mini-board. Written simple software for online viewing binary stream. 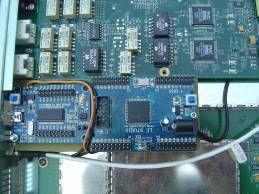 A lot of time spent on the development and manufacture hardware decoder for Chinese satellites. 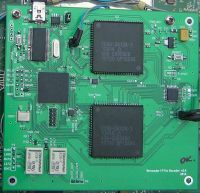 SLM-7650 modem. More details here. Designed and manufactured downconverter for X band. Were purchased waveguide powerful gearboxes, stepper motors and a parabolic antenna of 2.3 m for X-band experiments. 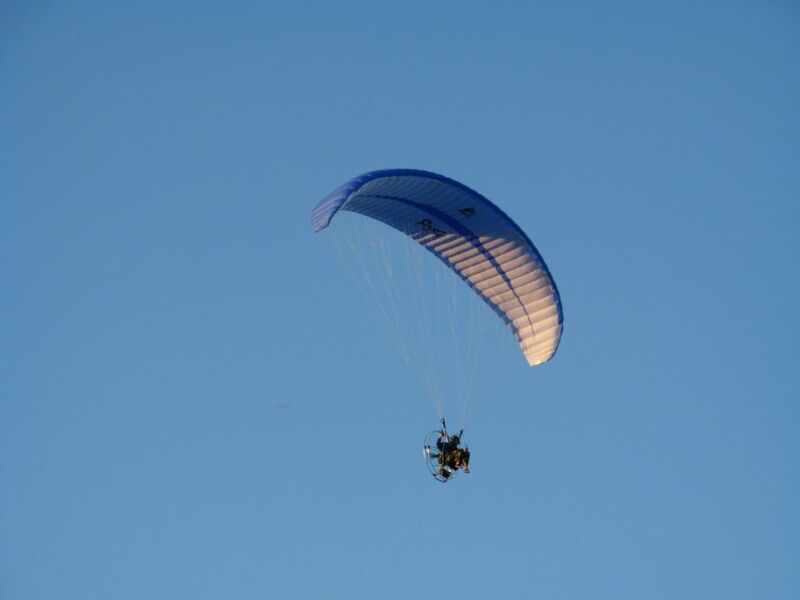 All his spare time was devoted to the design, construction details, write software and firmware for the new X-Y rotor. What came out - look here. "Patch" feed 1700 MHz for prime focus dish. Construction of the new "old" receiver HPR-137 for HRPT. Building of the X-Y mount for data acquisition. 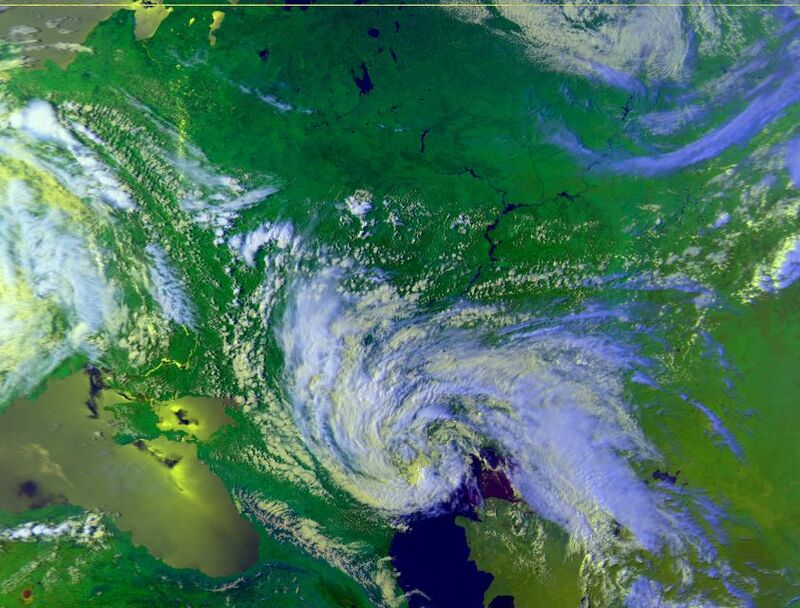 Most industrial installations for the reception of meteorological satellites use X-Y rotors. Choosing this type of rotor is not accidental. Medium speed in both axes, the absence of "dead zone" in the zenith and the problems associated to the crossing of the azimuth 0 degrees.